A 1 minute walk to Nauset Beach, just North of the Public Beach off Callanan's Pass. This vintage Nauset Heights home has a perfect location, nice big yard and outdoor shower. Everything you need to enjoy the outdoors this summer. It has a newly added sunroom/ bedroom that lets in a lot of light through 2 sliders with access to a small deck with water views. The formal dining room lends itself to gathering for amazing meals around the table. There is a formal living room with fireplace and plenty of seating. It has a kitchen with everything you need, easy access to the front yard where there is a picnic table for outdoor dining, gas grill included. The sunroom and downstairs bedrooms both have their own full bathrooms. 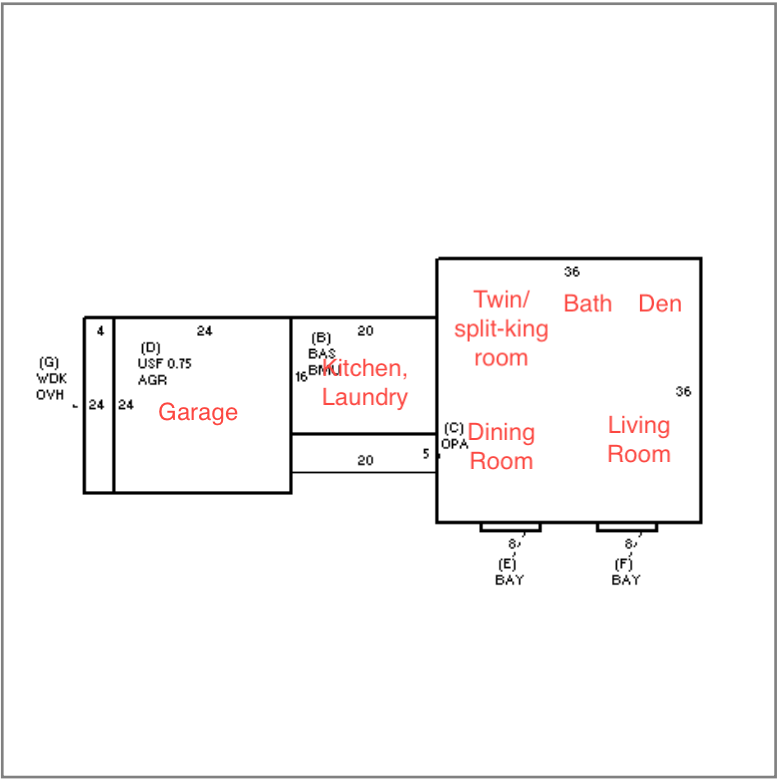 There is a half bath in the downstairs off the hall and another full bath in between the two bedrooms upstairs. Each of the bedrooms upstairs have peeks of the water. Walk 1 minute minute down an unpaved, private road to Nauset Beach. Beach chairs are provided! The home also includes a outdoor shower, AC units in the bedrooms plus a flat screen TV in sunroom and den, Wi-Fi and a gas grill. 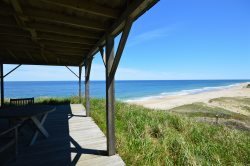 This is a terrific vacation value for its location, so close to Nauset Beach. The rental company is extremely responsive and helpful; the house was great. Great spread-out set up, is actually much nicer than it appears in photos. We could not have enjoyed the house more. This is a great house for a large group: the location is fantastic, just a minute walk to the beach. The house is very well equipped and quite comfortable with bedrooms spread out all over. Plenty of chairs but no beach umbrella: bring your own! Loved it. Plenty of space. Close to the beach. Very easy checkin and check out. House was huge with plenty of sleeping space and bathrooms for a big group. House was clean and had all amenities. It is in a prime location for walking to beach! Professional, informative, courteous, got back to me right away. The house was great. Had all the amenities, plenty of beach chairs even thought we had brought our own. Good grill, spacious. Loved the front porch!